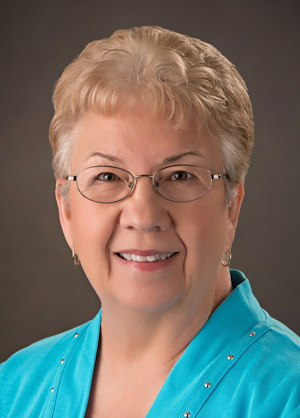 Honor Roll Member – Beier, Vicky Jean (Ewy) « Perry High School Alumni Association, Inc.
Vicky J. Ewy Beier, a 1967 graduate of Perry High School, was born in Perry, to Harold and Luella (Chenoweth) Ewy. Vicky’s siblings are Melvin Ewy, Dan Ewy, and Betty Ewy Price. It was in September, 1976, when Vicky answered an ad in the Perry Daily Journal for a job in the Noble County courthouse. Her two children were close to starting school so she called the court clerk’s office, was interviewed, and hired as a deputy in the Noble County Court Clerk’s office. In 1980, Vicky was appointed Court Clerk after the death of her boss, L.A. Seeliger, and then elected to a four-year term, later that same year. After working in the court clerk’s office and court system for eight years, she had dreams of going to college, and maybe, law school, too. Vicky resigned in 1984, before the end of her term, to attend college at Rose State College, where she graduated with honors, August, 1986, earning an Associate Paralegal Degree, and an Associate Degree in General Studies. In the spring of 1987, she graduated from Southern Nazarene University, in Bethany, Oklahoma, with honors, earning a Bachelor of Arts Degree. The next step in Vicky’s plan was accomplished by being accepted to all three law schools in Oklahoma, deciding that OU law school was the best for commuting from Perry, since Vicky’s children were still in high school. With help and support of Vicky’s family, she graduated from the University of Oklahoma, College of Law, in May, 1990, with a Juris Doctorate Degree, passed the bar exam that summer, and was admitted to the practice of law in Oklahoma. She was also admitted to the U.S. District Court, Western District of Oklahoma, and is a member of the Oklahoma State Bar Association and Noble County Bar Association. Vicky believes she is the first Perry High School female graduate to open her own law practice in Perry. She is still researching that bit of history. For several years, Vicky was employed as an attorney with Legal Aid of Western Oklahoma, in the Stillwater office. She also maintained her private practice while representing victims of abuse, as an attorney for Stillwater Domestic Violence Services (now Wings of Hope). Vicky served several years as an Assistant District Attorney for Noble County during the terms of Mark Gibson, DA, and Brian Hermanson, DA, working with commissioners, elected officers, and excise board. Vicky is a member of the Board of Adjustments for the City of Perry; member of Main Street, and the Zion Lutheran Church. Vicky’s still practicing law at her office, just off the Perry square, where she started in 1990. Since 2010, Vicky has been a board member of PHSAAI, serving four years as president. In 2017, she was appointed as attorney to the board, after the retirement of Bill Newton. Vicky married Ralph Beier in 1994. Ralph, a retiree of CMW, manages their rentals, Vicky helps with paper work. Ralph’s and Vicky’s children are Tim Beier, of Perry, Amy Beier Nieuwenhuis, of Edmond; Stephanie Maine Rames, of Perry, and Darren Maine, Stillwater. Their grandchildren are: Jacob Nieuwenhuis, Hannah Nieuwenhuis, Carson Rames, Meagan Rames, Aker Maine, and Bleue Maine.